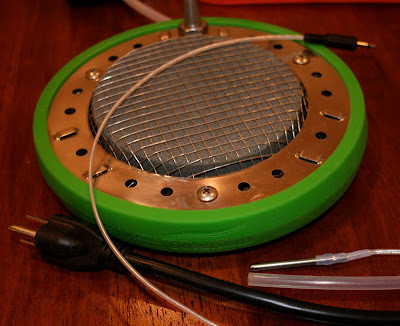 This component regulates the temperature of the water bath via a temperature probe and power going to the FMM. I promise I'll talk about the differences between the 1500D and previous models. This is a submersible heater. It is responsible for providing both heat and circulation via air bubbles. 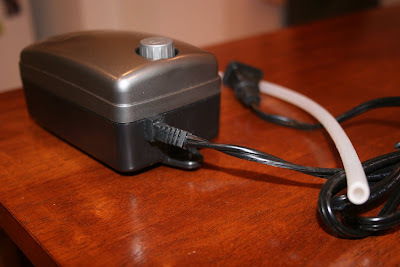 This little guy plugs into the wall and provides air to the FMM. 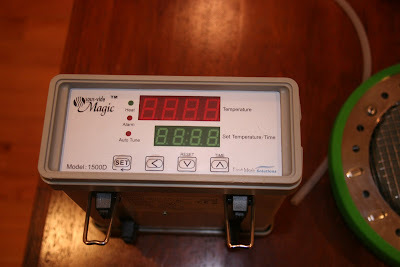 It has a dial that you can use to regulate air flow going to the FMM. 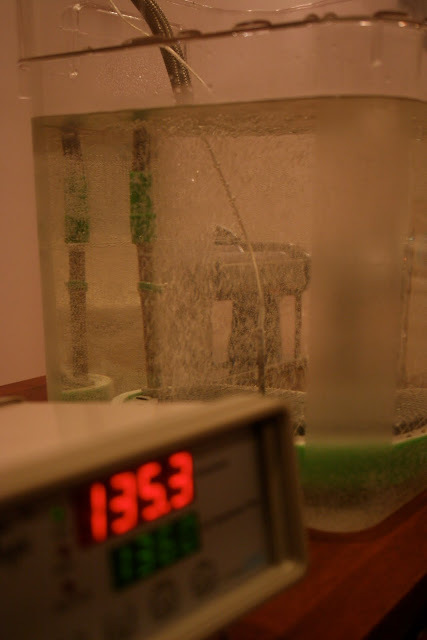 Turn up the volume, and the FMM produces more bubbles. 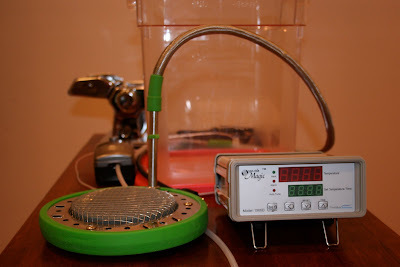 According to the documentation, more isn't necessarily better as you can cool down your water bath. Setup being tested in the 18L container that comes with the FMM kit. Lots and lots of bubbles. I just tossed two duck breasts into the water bath as my first test.